Media Services | Untamed Borders - Adventure travel..
Two of the founders of Untamed Borders began their careers by guiding journalists, photographers and researchers in both Pakistan and Afghanistan. Ever since we’ve continued to provide access and support for film crews and other professional people to some of the world’s most interesting and inaccessible places. In addition to our logistical expertise we can also provide risk assessments, consultation and management of all sizes of productions and types of projects. The American magazine, Newsweek, which has a circulation of 1.5 million readers arranged for a story about skiing in Afghanistan in conjunction with a leading global video journalism network called Storyhunter.TV. The collaboration resulted in a short film observing the lives, hopes and dreams of some of the Afghani competitors in the annual Afghanistan Ski Challenge. Adventure Not War is the story of three U.S. veterans traveling back into the mountains of Iraq on a mission to heal wounds and experience the country and its culture without the shadow of war. 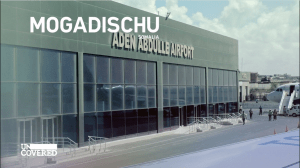 German journalist, Christoph Zürcher, ventured to Mogadishu to cover a story for NZZ am Sonntag which is a long-established newspaper founded in Zurich. Christoph’s aim was to create a long-form article for the publication’s 120,000 readership uncovering daily life in Somalia’s capital. ‘Uncovered: Extreme Tourism in Somalia’, broadcast by ProSieben in Germany, features journalist Thilo Mischke travelling through the streets of Mogadishu with British traveller Andrew Drury. British photographer Simon Urwin ventured to Afghanistan to shoot a story commissioned by Lonely Planet Traveller about a tile factory in the western city of Herat which is rumoured to be the oldest in the world at 1000 years old. Photographers Simon Urwin and James Robertson headed to Afghanistan for Sidetracked Magazine to cover a piece about the burgeoning ski industry and community in Afghanistan. The end result of their shoot was a series of candid portraits of Afghani skiers interwoven with a revealing interview with Ali Shah who is leading figure in the Afghan ski community and training in St. Moritz, Switzerland to become the first ever ski competitor for his country in the next Winter Olympics. 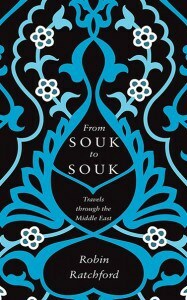 Travel writer Robin Ratchford headed to Afghanistan with us to complete a chapter of his book “From Souk to Souk” which reflects on a series of unforgettable experiences across the Middle East and Central Asia. 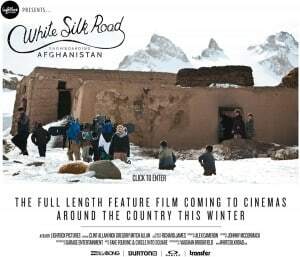 White Silk Road tells the story of three Australian snowboarders who travelled to Afghanistan to carry the sport across new frontiers. In one of the most dangerous parts of the world, they discovered incredible mountains, breathtaking landscapes, and heartwarming communities of hospitable people. The feature film was produced in conjunction with the leading surf/snowboard brands of Billabong, Burton, Oakley and Transfer and Untamed Borders arrange the logistics. Australia’s state-owned and funded national public broadcaster, ABC Australia, requested us to arrange the logistics for a 25 minute presenter-led TV piece which explores Afghanistan’s current political situation and its impact on tourism/social development in the country told through the words and stories of local female skiers, Afghan policy makers and competitors in the international Afghanistan Ski Challenge. The Special Broadcasting Service (SBS) is a hybrid-funded Australian public broadcasting radio, online and television network. Untamed Borders worked with SBS Australia to produce a short piece about travel in offbeat locations covering travel tales from Afghanistan, Iran and Somalia.